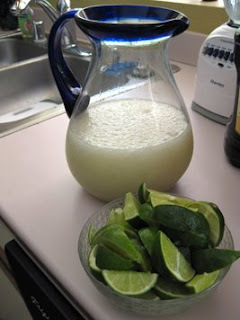 This is the best Margarita recipe I’ve ever tried. Like, totally amazingly good. Michael got this recipe years ago during his catering days. We brought it out this weekend in Palm Springs and everyone loved them! 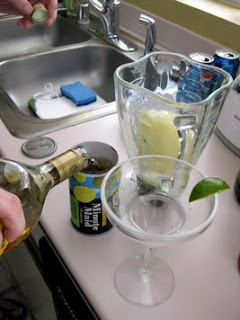 Use the empty can of Lime-aide to measure the rest of the ingredients. Place all ingredients in a blender. Fill the rest of the blender with ice. Blend. Drink up. Tried this on Labor Day and It was great. However, the second go round I only added about 3/4 of the container worth of tequila. The first batch was really strong!!!!! In a good way though.